The Georgia Environmental Protection Division has given those interested in commenting on an application by the developer of the proposed $76 million Epps Bridge Centre on Epps Bridge Parkway until Jan. 19 to file statements about the environmental impact of the development. Frank Bishop of Oconee 316 Associates of Atlanta is asking the state to set aside its requirements that streams on the site of the proposed development be protected by a 25-foot buffer. Bishop wants the state to allow him to develop the 62-acre site between Epps Bridge Parkway and SR Loop 10 by piping and filling 2,678 feet of five unnamed perennial tributaries to McNutt Creek. 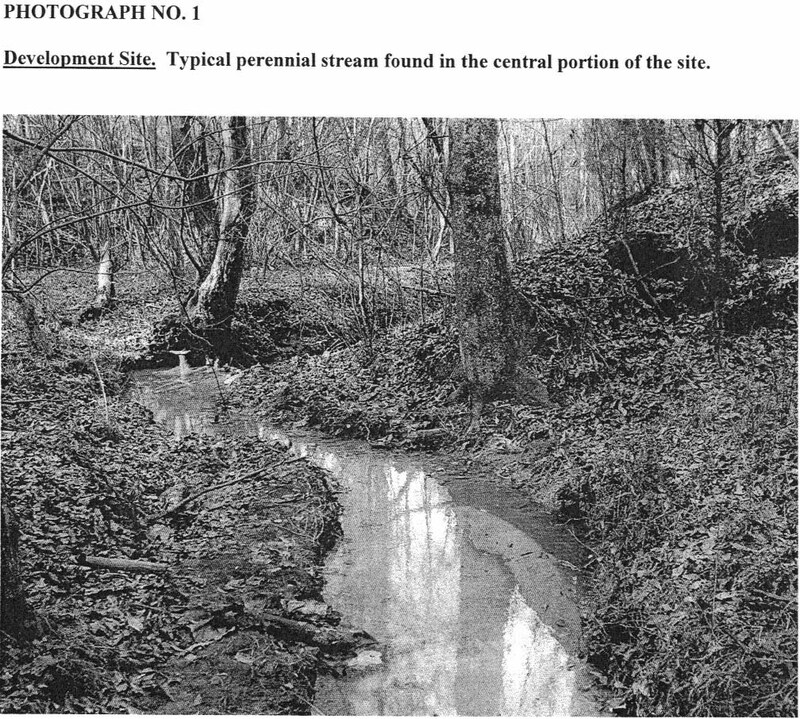 Before the state can give Bishop the requested variance that allows him to enter the legal buffers for the streams, the U.S. Army Corps of Engineers must give him a permit to put the 2,678 linear feet of perennial streams into underground pipes. Bishop also is asking the Corps to allow him to fill and disturb at least some of the 1.06 acres of wetlands and natural drainage areas on the site. Billy E. Birdwell, chief of Public Affairs for the Savannah District of the Corps, told me in an e-mail message on Dec. 31 that the permit has not been issued by the Corps. "We should complete our decision in the next two weeks," he wrote. On a related front, the Georgia Department of Transportation on Dec. 24 rejected all eight bids that were submitted on Dec. 12 for the Oconee Connector Extension. County Administrative Officer Alan Theriault told me in an e-mail message on Dec. 29 that the project will be readvertised for March. The Oconee Connector Extension is the roadway being built to the Epps Bridge Centre. The Oconee County Board of Commissioners approved the rezone for the project on Oct. 7, but it said the developer cannot begin the project until contracts are let on the Extension. The state did not give a reason for its rejection of the bids, which ranged in price from $14 million to $21 million. Oconee County has purchased the right of way for the roadway for the state with the expectation that the state will reimburse it the $5 million it has spent. According to an Associated Press story in the Athens Banner-Herald on Jan. 3, the Georgia Department of Transportation had a $456 million deficit for the fiscal year that ended July 31, 2008. Until the Oconee Connector Extension is built, Epps Bridge Center will have only a single entrance and exit opposite the Waffle House at the SR Loop 10 and Epps Bridge Parkway intersection. Patrons only will be able to make a right turn into the shopping mall and a right turn coming out of it. Epps Bridge Centre, which is to be anchored by major retail outlets and is to include restaurants and a 16-screen movie theater, also faces significant economic challenges. According to a story in USAToday on Dec. 30, the International Council of Shopping Centers projected in October that 148,000 stores would close in 2008, the largest number since 2001, and an additional 73,000 stories will close in the first half of 2009. The Georgia EPD issued its public advisory regarding Bishop’s variance request on Dec. 18, indicating that "The public is invited to comment during the 30-day period on the proposed activity." The Corps of Engineers also had solicited public response to the permit request for Epps Bridge Centre in late 2007, but no private citizens responded. Two local citizens, Jill Talmadge and Pamela Kohn, both of Holly Hills Drive in Athens, had written to the Corps in May of 2007 asking for a public hearing on an earlier request by Bishop for a permit. Bishop subsequently withdrew that permit request. McNutt Creek forms one of the borders between Clarke and Oconee counties. Holly Hills Drive runs parallel to McNutt Creek. At the Oct. 7 BOC meeting, Brenda Rashleigh, president of the Upper Oconee Watershed Network, said her group was "opposed to this rezone because of the environmental impacts on the downstream waters," including McNutt Creek. UOWN is a nonprofit organization working to protect the Upper Oconee Watershed. Bishop proposes to mitigate the damage he plans to do to the streams on the Oconee County site by restoration of wetlands and streams in Greene County. On Oct. 22, the Corps of Engineers solicited public comment on a proposed new mitigation site off Goat Farm Road in northwestern Oconee County, called the Goat Farm Road Mitigation Bank. The bank sponsor is Westland TLG of Atlanta. Another mitigation site already exists in Oconee County. Atkel Development Company of Watkinsville has a mitigation site on Rose Creek near the county's southern border with Greene County. Reference should be made to Frank Bishop, developer, Oconee 316 Associates, and Control Number BV-108-08-01. The comments must address environmental issues dealing with air, water and land protection. Citizens can ask for a public hearing.